Silver Class have been working on their literacy work since the Easter break. We have set the target of improving our phonetics before the end of the school year. Silver Class have been singing the alphabet song to help us with this work, remembering all of the letters from A-Z in the correct sequence. 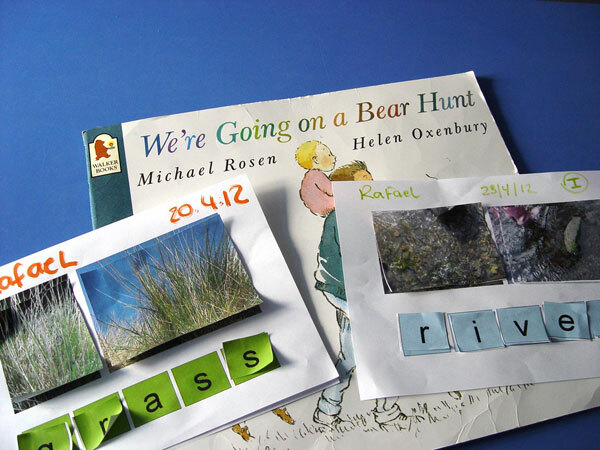 Our phonetics work is also being supported with the reading of the current Silver Class book, The Bear Hunt. This is a great book to help us with our phonic sounds. We get to remember all of the different animals and the sounds in their names. The book also has many actions, such as over or under. We have produced some written work around this, and then pointed out the phonic sounds that we can hear.